I guess we have all lost a few angling acquaintances over the years. Common causes being work, relationships, children and for some, golf. 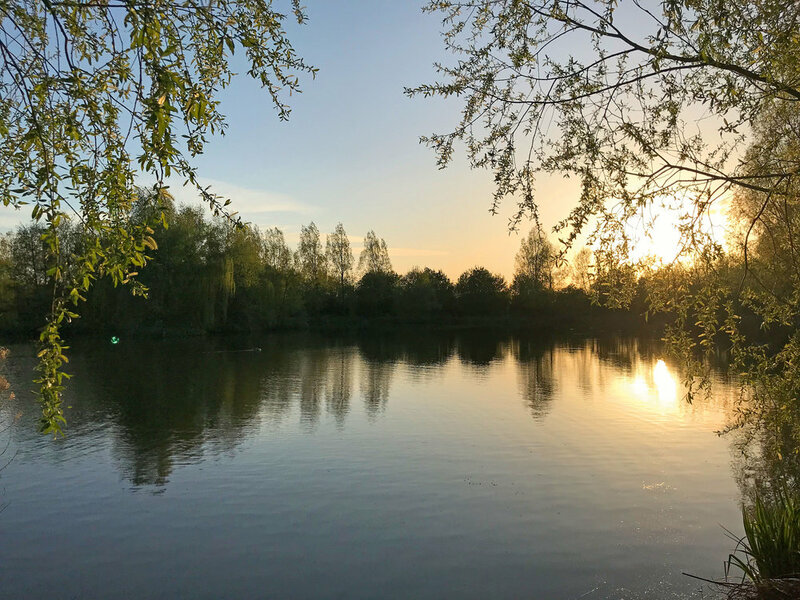 Whilst these reasons are all valid (except golf), one component is usually in the mix too – the passion for angling that once burned bright, has now faded. The use of the word fade is fitting. Like a sunset that disappears over the horizon, light fades slowly, and is often discreet in its passing. Many of my fishing friends of yesteryear, whose rods have caught more cobwebs than fish in recent times, seldom decided one day to quit fishing. The passion simply faded – from a once burning fire, to a modest flame, until the final flicker extinguished. Life does have a habit of getting busy, but it is remarkable what can be achieved if focus, dedication and most importantly, passion endure. 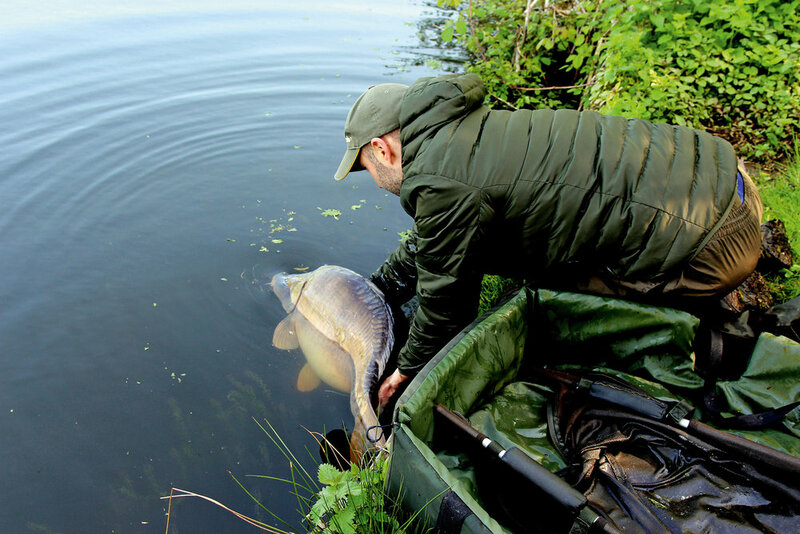 What’s the difference between those who fade in to the carp fishing archives and those who continue to burn with enthusiasm? In my opinion the answer is inspiration. Inspiration is timeless. Inspiration stimulates a person to action. Inspiration is rarely centred on the goal but relishes the lived experience in all the moments of wonder and woe. At times I have attempted to reach out to my fishing friends whose passion for angling was waning and tried to save them from the perils of golf, girlfriends and more time spent at the office. Interestingly my desire to motivate them to action and go fishing rarely works. Perhaps that is because motivation on its own is not enough. Let me explain... Inspiration and motivation are not the same. They’re not even close. Motivation tells you to ‘keep on going keeping on, push through, work harder, etc’. These sayings are usually supported with stories of people who have laboured hard, endured adversity, got up early and stayed out late – and have lived to tell the tale. In small doses, this can work. However, other than the obvious risk of sounding trite (nearly always the case), they can also appear to be utterly exhausting and fail to truly motivate on so many levels. Why? Because motivation parades as inspiration but is not the same thing. Motivation on its own is like endless fitness DVDs. Endless instruction to “come on, you can do it”, whilst the Eye of the Tiger blares loudly in the background. Sure, this will work for a while (post-Christmas detox/gym membership, etc). Nonetheless, after a short time, the most refreshing thing to do with those fitness DVDs is to hit the off button, sit down and make a nice cup of tea. That, my friends, is why motivation on its own is never enough. Inspiration is a totally different animal and is required in all spheres of life to truly sustain the passion that for many once burned so bright. What follows are a few personal reflections, experiences and stories – noting that inspiration sustains where motivation has at times failed. At times I have despaired at aspects of the modern scene and had little desire to go fishing – is it okay to say that in a fishing magazine? At other times, I have basked in the delight of an early morning mist, a lesser known fish that has graced my net, and the pleasant aroma of a curry delivered to the bank during a winter session. In recent winters when lakes have been frozen or carp fishing conditions poor, I have fished local rivers, losing myself in the endless allure of watching a float meander mysterious margins and dance across clear gravel. When the float has refused to dip I have reeled in and enjoyed a good cup of tea and slice of cake by the river. I have learned to enjoy these moments as much as the times when a fish discovers my baited hook. Long may the passion burn. Ascertaining where inspiration comes from, and what maintains this most enigmatic of attributes, can be traced back to my very early days as a fisherman. I started gazing into clear waters and being lost in the world and mystery of what happens beneath the surface some 30 years ago. My grandparents lived in a bungalow on the banks of the Hampshire Test. We walked the banks every week of my childhood. In many ways, the beauty and mystery of the river birthed an angler in me, long before I ever held a rod. Netting minnows in my local canal resulted in my first fish – a minnow of about half an inch. I remember holding it and feeling alive – the minnow wriggling in the palm of my hand for a few seconds before I watched it swim away. My grandfather believed the Test was no starting ground for a boy. He insisted that the canal and a local forest pond would serve me well before my float would glide through the wide runs and sweeping bends of the Test. In hindsight, he was right. Why do we rush so much in life – even in pursuit of our dreams? Rarely do you hear people testify in life, work or relationships that they are really pleased that they rushed. Often the sentiment is expressed the other way around. The slow years of minnows, gudgeon, roach, trout and in the winter, grayling, only added to the fire that was burning within me. Granddad knew that for the fire to burn for a long time you need to start with kindling, progress to small logs, before large logs are added – and then continually stoke the blaze to burn hot and long. This picture has been the story of my angling life. It was five years of dabbling by and falling in streams, ponds and creeks before I caught my first carp. My cousin, David, and I were fishing a forest pond on a sunny evening when we heard mysterious sucking and slurping from under the lily pads. As the carp foraged for food on the underside of the lilies, our minds wandered, dazed by the occasional glance of the mysterious dark shadows. We had to know more, and the best way to learn what these wonderful creatures were, was to catch one. We tried all number of tactics that summer before eventually succeeding in catching one of the beasts by means of anchored chunks of bread flake (now we call it zigging). The mysterious creatures stepped out of the shadows and into our landing nets, and, ultimately were engraved onto our hearts. Carp anglers were born. Over the last few years I have flitted between waters, enjoying a variation of fishing situations. Whilst this approach of not focusing solely on one water has almost certainly made me less effective in regard to catch reports, it has stretched me as an angler. On numerous occasions I have had to adapt my approach to be successful. At times I have interpreted the signs, made changes, and succeeded. At other times I have failed miserably! Whilst this touring style of angling does have its benefits, toward the end of last year I was beginning to feel something of a wandering nomad. It was therefore wonderful timing that an opportunity to join a quiet syndicate presented itself. The lake is approximately five acres, surrounded by fields set in beautiful countryside. Mooing cows, the call of lambs searching for their mothers and birdsong fill the air. This was such a wonderful contrast to the many gravel pits I have fished that suffer constant noise from neighbouring roads. I had been aware of the lake for some years but had never spoken to anyone who had fished the water. After several years of waiting, and an annual telephone call to the owner reminding them of my interest, my name made its way to the top of the waiting list. How wonderful. “Of course, I am interested in a ticket” was my response, on a wet February morning. “But you haven’t seen the lake or asked any questions about the stock, etc” was their response. The owner continued to be surprised at my enthusiasm, not least because the lake is two hours from my home. However, when the owner described the tranquillity, the rolling countryside and the allure of a relatively small membership – I was hooked. The cheque was in the post the next day. My diary afforded me little space on the run up to Easter (I am a church minister). It was therefore not until early April, just after a recent snowfall, that I visited the lake for the first time. The owner had kindly agreed to meet me and show me round. He was once again startled at my decision to join the lake without knowing what the stock was like. Seemingly, many other people ask about the ‘prizes’ first and the fishing scenario second. I arrived at the owner’s farm to be greeted by a welcoming west-country accent. We proceeded to talk as we made our way through the gates of his dairy farm and into the converted outbuilding that offered the anglers shelter, toilets and showers. As we entered the building I saw something that stopped me in my tracks. The walls were lined with catch photos of numerous big fish. 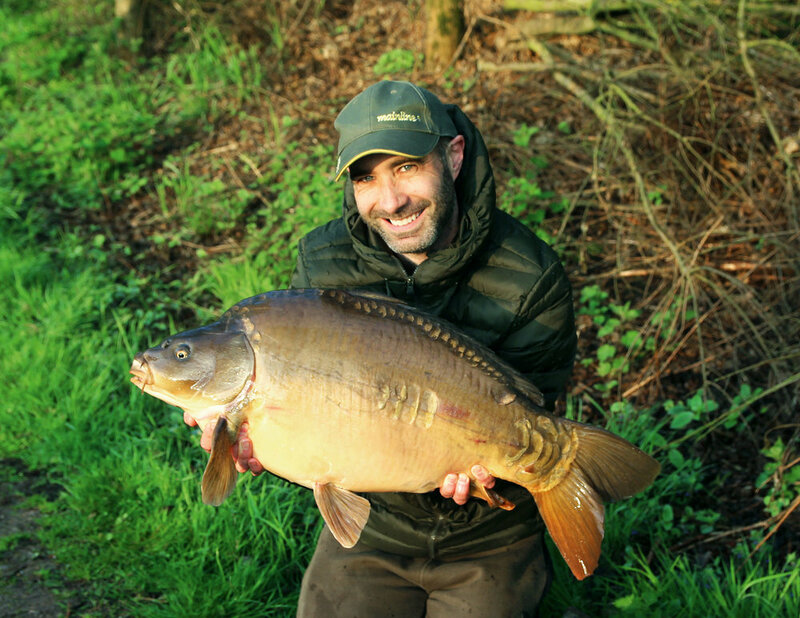 A mixture of mirrors, commons and some beautiful scaly carp all call the lake home. Another highlight that superficially has little to do with fishing but has in fact enriched my fishing considerably has been around good food on the bank. Long ago are the days when I could endure a Pot Noodle or toasted sandwich. Now, in the summer, I reach for my BBQ. When it’s cold I often enjoy a spicy curry, or a Mexican dish. A recent addition to my culinary implements has been a Cobb cooker, allowing me to cook pizzas and other items that require an oven (I roasted a whole chicken last week). Remember, this is meant to be fun, and good times nearly always include good food! An enjoyment for good food exudes beyond the lake. 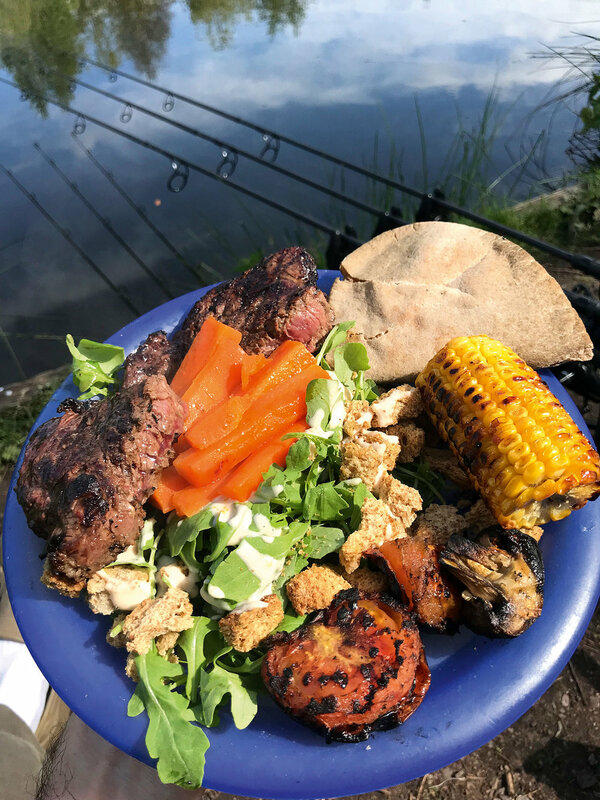 I manage a small syndicate on the stretch of river my grandfather maintained during the winter months, and last year I was most impressed with some of the bankside feasts several of the members enjoyed. Port, cheese and crackers made an appearance. Homemade cakes were common affairs. And if all else failed, the local pub served a wonderful sausage and mash and providing a warm watering hole. When considering how to keep inspiration levels high when you’re not fishing, I love to read and occasionally watch fishing on TV. I must confess I am not a fan of fishing on the screen. So many YouTube videos seem to be inundated with excessive product placement and presented by people with an ambiguous grasp of the English language, instead sounding like pirates: “I got me bivvy up”, “me right hand rod went into meltdown” – nearly always concluding in said angler “buzzing”. Personally, I much prefer the written word. Some exceptions exist, and for this I endure all things ‘carpy’. Personal favourites include The Challenge and ITV’s Monster Carp. A side thought: If you’re not enjoying it, go home and come back another day. Inspiration is often undetectable yet at the same time unstoppable. Do whatever you need to keep the passion alive. 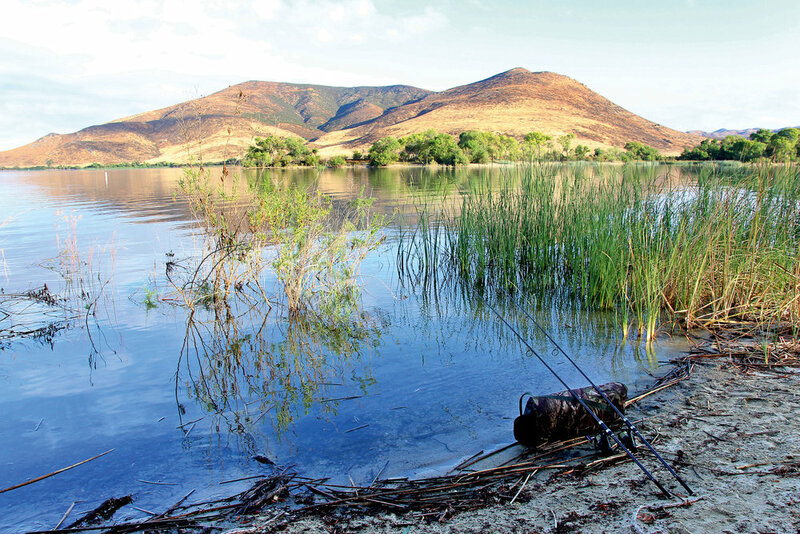 Read, ponder, move slowly around lakes and rivers and notice the subtle things that anglers in a hurry often miss. Take photos, write notes/stories and most importantly live a story.